Domenico Losurdo’s well-reasoned and elaborately researched book, Stalin: The History and Critique of a Black Legend, has not as yet been translated into English. Originally published in Italian in 2008, it has been translated into French, Spanish and German. Since I am most comfortable with French, I set out to read the 500+ page book – as bed-time reading. But first, let me set the context for Losurdo’s philosophical project, which has been admirably outlined in a translation of a piece by Stefano Azzará. This project has a few main features. First, he has developed a systematic criticism of liberalism’s bloody, particularist, racist and supremacist origins. In this ‘counter-history’, he argues that bourgeois democracy is by no means a natural outcome of liberalism, but rather the result of a continued struggle of the excluded from the limited realm of liberalism. Further, and as part of his wider project, he has also explored the dialectical tension between universal claims and the limited particularisms from which they arise. 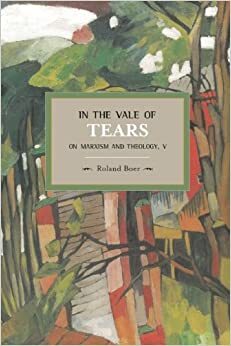 In this light, he has explored the tensions and qualitative leaps in the German tradition of idealist philosophy, with a particular focus on Kant and Hegel. Third, he applies this criticism to the Marxist tradition, which ran into significant trouble through its wildly universalist and utopian claims and the unexpected limitations that emerged during the constructions of socialism after the revolution. Although he draws on Gramsci to argue for Marxism as a patient and pragmatic project in which everything will not be achieved in rush, he tellingly sees the example of China as an excellent example of what he means. Putting aside any pre-established blueprints for socialism, or indeed the ‘utopia-state of exception spiral’, it realises the gradual nature of the project. Not afraid to face the power of capitalism, as well as its many problems, it simultaneously – in a massive and sustained ‘New Economic Project’ that defies all orthodoxies – proceeds to construct a socialist constitutional state that is working towards a socialist market for the production and redistribution of wealth. Here is, then, Italy’s leading philosopher in the Marxist tradition vouching for a China that may well reconfigure and refound the Marxist tradition. By now, Losurdo’s controversial and provoking theses should begin to be a little clearer. The Stalin book is yet another instance of his ability to take on unexpected and supposedly ‘dangerous’ topics and thoroughly recast one’s understanding. Is not Stalin, after all, the epitome of the paranoid dictator ruling by his personal whim and destroying millions of lives in the process? Is he not the mirror-image of Hitler and thereby a travesty of the Marxist tradition, as so many Marxists would have us believe? For Losurdo, this is an extraordinary caricature, so he sets out to explore how and why it developed and then to demolish it. This entails a complete reset of the mindset that unthinkingly condemns Stalin before any sustained analysis. The book has eight chapters that are simultaneously philosophical and historical. 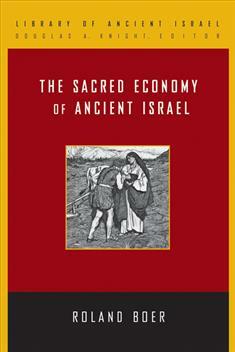 Given the fact that it is not available in English, I outline the arguments of each chapter. Introduction: The Turning Point in the History of Stalin. This covers the period from the worldwide admiration and appreciation of Stalin’s pivotal role in the defeat of Hitler to the moment when Khrushchev’s ‘secret report’ was delivered. For the rest of the book, he juxtaposes these two images in constantly changing formats. One appreciates Stalin for what he actually did; the other condemns him for what he supposedly did. How to Send a God to Hell: The Khrushchev Report. This chapter is a detailed criticism of the ‘secret report’, given by Khrushchev after Stalin’s death. This is a useful complement to Grover Furr’s Khrushchev Lied, with a focus on the politically motivated distortions by Khrushchev, who depicted Stalin as a ‘capricious and degenerate human monster’, and created the myths of Stalin’s abject reactions to Hitler’s attack, his anti-semitism, the cultivation of his own personality cult and much more. Bolshevik Ideological Conflict in Relation to the Civil War. This is a more philosophical chapter, dealing with what Losurdo calls the ‘dialectic of Saturn’. By this he means the pattern of conflict and struggle in which the way the Bolsheviks came to power continued to influence their dealings in power: ‘the history of Bolshevism turns itself against soviet power’. This revolutionary struggle continued, in relation to external and especially internal opponents. And so the means for resolving such a struggle became – internally – both purges and plots to overthrow the government. The Trotsky-Bukharin-Kamenev plot was therefore part of the internal logic of revolutionary power and very real. In this way may we understand the Red Terror, which is one aspect of what Losurdo calls three civil wars: the one against the international counterrevolution via the White armies; the second against the rich peasants (kulaks) during the collectivisation drive; the third against the internal plot of Trotsky and others. Between the Twentieth Century and the Longue Durée, Between the History of Marxism and the History of Russia: The Origins of ‘Stalinism’. Again philosophical, this chapter argues for two main points. The first is that Russia was undergoing a long ‘time of troubles’ from the late nineteenth century. The state was gradually collapsing, social institutions were disintegrating and the economy was in free-fall. Continuous warfare played a role, from the Russo-Japanese War to the First World War. In this light, the major achievement of the communists was to reconstruct the state. Not just any state, but a strong socialist state. Needless to say, this required immense energy and not a little brilliance. At the centre was Stalin. Second, Losurdo develops his argument for the problematic nature of the communist universal. Bred out of the particularities of the Russian revolution and its situation, it developed an ‘ideal socialism’ that is still to come and to which one strives. This in turn produced the perpetual state of exception under which the Soviet Union found itself. For Losurdo, Stalin may have at times been subject to this universal ideal, but less so than others like Trotsky and Kautsky, who criticised Stalin for not living up to the ideal. Instead, Stalin’s various strategies, such as continuing the New Economic Project for a while, the collectivisation project, the restoration of the soviets, and the efforts to foster socialist democracy indicate a significant degree of practical concerns. The Complex and Contradictory Course of the Stalin Era. As the title suggests, Losurdo continues his philosophical analysis of contradictions, now focusing on: socialist democracy and the Red Terror; bureaucracy and the ‘furious faith’ of the new socialist order; planned economy and the extraordinary flexibility of worker initiatives (so much so that the workers would have been regarded as unruly and undisciplined in capitalist industries); and the role of a ‘developmental dictatorship’ in contrast to totalitarianism. Of particular interest in this chapter is the systematic refutation of the alignment between Soviet Gulags and the Nazi ‘concentration camps’, in which the former sought to produce restored citizens, while the latter simply sought to destroy ‘sub-humans’. Here Losurdo begins a theme that becomes stronger as the book progresses, namely, that fascism is much closer to the liberal powers such as the United States and the United Kingdom. Much more is said on this connection. Repression of History and Construction of Mythology: Stalin and Hitler as Twin Monsters. A long chapter, where Losurdo now begins to show how the ‘black legend’ of Stalin developed. A central feature, thanks to Hannah Arendt, is what Losurdo calls the reductio ad Hitlerum. Two key items are supposed to show the ‘elective affinity’ between Stalin and Hitler: the so-called ‘Holodomor’, the Ukrainian holocaust that is supposed to be similar to the Nazi holocaust, and Stalin’s anti-semitism. Here he shows that the Holodomor is a piece of historical fiction (developed above all by the old Cold War warrior, Robert Conquest) and that the famine was the result of the United Kingdom’s Russian Goods (Import Prohibition) Act 1933. On anti-semitism he spends a good deal of time, after which it is perfectly clear that Stalin was anything but. Stalin repeatedly condemned anti-semitism in no uncertain terms, to the point of being – one of the few in the world at the time – an enthusiastic supporter of the state of Israel. Even more, the establishment of the ‘affirmative action empire’ in the Soviet Union ensured that Jews, among many other ethnic groups, were protected and fostered under the law, so much so that a significant number held posts in the government apparatus. Also in this chapter is a further development of the close connections between Hitler and ‘Western liberalism’, especially in terms of anti-semitism. Churchill in particular was a bigoted racist and white supremacist, and Roosevelt was also sympathetic. Indeed, they and others contrived to turn, through ‘appeasement’, Hitler’s attention eastward, with the aim of using Hitler to destroy the USSR. Psychopathology, Morality and History in Reading the Stalin Era. This chapter carries on the arguments of the previous chapter, especially in relation to the reductio ad Hitlerum, where Arendt once again comes in for some sustained criticism. It also deals with the common portrayal of Stalin’s paranoia, showing that the continued threats to the USSR – such as systemic sabotage and bombing of key industrial sites, spying, fostering coups, and simple economic sanctions – were hardly the products of a suspicious mind. The Image of Stalin Between History and Mythology. This brief chapter continues to trace the way the myth of a brutal dictator developed. Not only is he interested in the polarisation of Stalin, but also in the contradictions of the myth as it has been perpetrated and repeated since the initial work of Trotsky, Khrushchev and Arendt. But this is not the first time such diabolisation had happened in relation to revolutions. Losurdo closes the chapter by showing how it also took place in relation to the French Revolution – especially The Terror and in relation to Robespierre – of the late eighteenth century. Diabolisation and Hagiography in Reading the Contemporary World. Losurdo closes by showing how the process of diabolisation continues in relation to more recent communist revolutions: China, Cambodia, Haiti. Here the ideological warfare is coupled with brutal repressions, especially in Haiti, which was not large enough to resist the invasion of counterrevolutionary forces. China, however, was able to withstand the consistent raids and bombings that the United States undertook through its air bases on Taiwan, although it did suffer through what may be called an ‘economic atom bomb’. The economic blockade of China was specifically designed to leave China – already with a destroyed economy from the Japanese invasion and a long revolutionary civil war – far behind economically. The cost was in millions of lives from starvation. Not without satisfaction does Losurdo note that China is overcoming the strenuous effects of the United States and its allies. In the end, however, the main purpose of this chapter is to focus on a favoured theme: the continued bloodthirstiness of ‘Western liberal’ powers. What are we to make of Losurdo’s argument? I was less taken with his efforts to show how close Nazism is to Western liberalism. This is a theme he has developed elsewhere, and while the points are often well made, they at times tended to dominate his argument. To counter a false image of Stalin by pointing out that the accusers were really the guilty ones is not always the best move to make. However, Losurdo does offer some real strengths in his work, relating to Stalin at war (although others have already this argument for Stalin’s vital role), the reality of plots and threats to the government (in relation to purges and the Red Terror), the rebuilding of a strong state, Stalin’s consistent opposition to anti-semitism, and the ridiculousness of the image of Stalin of as a paranoid dictator ruling by means of his capricious bloodlust. The complex task of unpicking the contradictions and fabrications of the ‘black legend’ is very well done, particularly via close analysis of Trotsky, Khrushchev, Arendt and Robert Conquest’s dreadful works. And I found his analysis of the dangers of an ideal, romanticised and universal communism very insightful. However, I would have liked to see a more sustained analysis of the veneration of Stalin, apart from showing a longer history of such veneration in Russian history (Kerensky is offered as one of the more extreme examples of self-propelled adulation). Here the veneration of Lenin was more important, since Lenin’s heritage was the focus of struggles between Stalin and his opponents. I missed an examination of the social and economic role of such veneration, particularly in relation to economic and extra-economic compulsion. 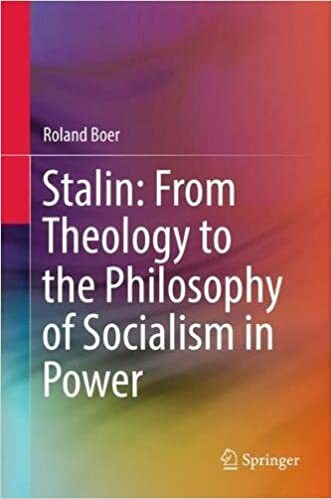 Further, while I would have liked to see more of an exploration of Stalin’s faults along with his virtues, this is perhaps not the place for such an analysis. Instead, Losurdo’s brave book has another task: to counter a strong and long tradition of the diabolisation of Stalin on the Left. Perhaps a careful analysis of Stalin’s real (and not mythical) faults and virtues is a task for the future. Italian: Stalin. Storia e critica di una leggenda nera (2008); French: Staline: Histoire et critique d’une légende noire (2009); Spanish: Stalin: historia y crítica de una leyenda negra (2011); German: Stalin: Geschichte und Kritik einer schwarzen Legende (2013). It may be found in a solitary blog post: http://domenicolosurdopresentazazing.blogspot.com.au. This book has been translated into English as Liberalism: A Counter-History (Verso 2011). Grover Furr, Khrushchev Lied (Erythros, 2011). Are there any other Stalin ‘revisionism’ books you can recommend? In English though please! Are there any other Stalin ‘revisionism’ type books you can recommend? Only in English please! Mawdsley, E. 2005. Thunder in the East: The Nazi-Soviet War 1941-1945. London: Bloomsbury. Glantz, D., and J. House. 1995. When Titans Clashed: How the Red Army Stopped Hitler. Lawrence: UP of Kansas. Roberts, G. 2006. Stalin’s Wars: From World War to Cold War, 1939-1953. New Haven: Yale UP. Gorlizki, Y., and O. Khlevniuk. Cold Peace: Stalin and the Soviet Ruling Circle, 1945-1953. Oxford: Oxford UP. Khlevniuk, O. 2009. Master of the House: Stalin and His Inner Circle. Trans. N. Seligman Favorov. New Haven: Yale U P.
Thurston, R., and B. Bonwetsch, eds. 2000. The People’s War: Responses to World War II in the Soviet Union. Urbana: U of Illinois P.
Furr, G. 2011. Khrushchev Lied. Kettering: Erythros. Martens, L. 1996 . Another View of Stalin. Antwerp: EPO. Plus a heap of Russian works. The debate rages there. Dear Roland, I have just read your review: ‘Losurdo on Stalin’, republished in Communist Review, No 76, summer 2015. It made a fascinating read. One area that either the author or yourself doesn’t seem to have touched on, are the Moscow show trials, including those of former volunteers from the Soviet Union and Soviet advisers to the Popular Front government of the Second Spanish Republic during the Spanish Civil War. Can you, or other blog readers, throw any light on this please? If it’s not touched on by Losurdo, perhaps you could point myself and other readers in the direction of other works on the revisionism of Stalin’s legacy that cover this period. Incidentally, the use of the word ‘revisionism’ in this context is totally new to me, having previously been applied to right-wing revisions of history. Grover Furr’s book, Khrushchev Lied, is an interesting, if somewhat controversial, read. Yes, it is interesting to see ‘revisionism’ used in this way. There are about three waves of revisionism in relation to Stalin. The first was in the Soviet Union in the 1960s and 1970s, then in foreign scholarship in the 1980s-1990s, and now with various works under way. Trotsky’s Lies, The Moscow Trials As Evidence, The Dewey Commission. Unmentioned is Merleau-Ponty’s book “Humanism and Terror” which does deal with the show trials. And it was written close to the period, since written in 1947. Though after the discovery of the Gulag he distanced himself somewhat, this comes after this book was written.